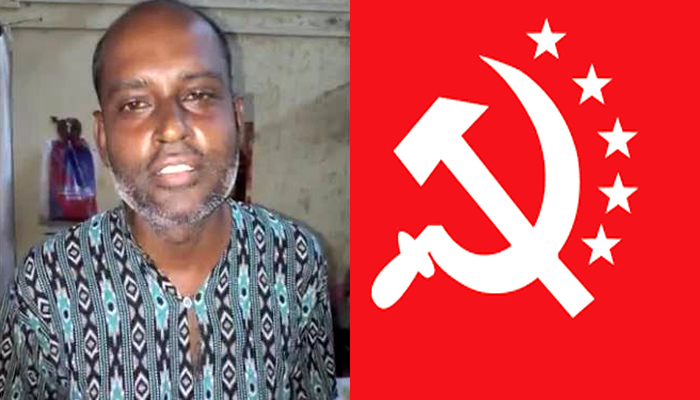 Kolkata: After absconding for nearly one-and-a-half year, Alik Chakraborty, the Naxalite leader and the prime mobiliser of the Bhangar Agitation in South 24-Parganas has fallen to the police net. A team of the Baruipur district police today arrested Chakraborty (52) from Bhubaneswar in Odisha. He has been arrested by a team of policemen in civil attire today afternoon as soon as he stepped out of the Kalinga Hospital in Bhubaneswar. Chakraborty had gone to Bhubaneswar last month for treatment of liver related ailments. Kolkata Police managed to get a clue about his whereabouts by obtaining information from informers and by tracking the mobile phones that he used from time to time to make calls to Bhangar. They then passed on the information to the Baruipur district police. Accordingly, Baruipur police rushed a team to Bhubaneswar; the team got divided into two units. One team started keeping an eye on Bhubaneswar’s Maitree Vihar Colony where Chakraborty was putting up in the house of a person known to him. The second team posted itself in front of the Kalinga Hospital. To deceive police and negate the chances of arrest, Chakraborty had shaven off his trademark beard. Despite this, the second police team managed to arrest him today afternoon with the support from Chandrasekharpur police station in Bhubaneswar. The Naxalite leader has now been kept in the lockup at Chandrasekharpur police station. According to Arijit Sinha, the superintendent of police of Baruipur, Chakraborty will be produced before a Bhubaneswar court tomorrow and Bengal police will seek a transit remand for him. If the court grants the transit remand, he will be brought to Kolkata. 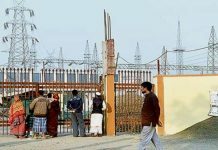 The arrest of Chakraborty comes as a severe blow to the Bhangar Agitation, which is on since December 2016 against the setting up of a power station on farmland. 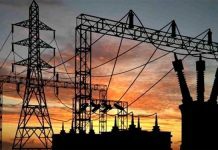 A large section of the villagers there is opposed to the power station as they believe the high-tension power cables that will pass over their paddy fields will hamper cultivation and cause health hazards. Chakraborty and his wife Sharmistha Choudhury, who happened to be leaders of the Naxalite political party CPI-ML (Red Star), have been mobilising support for the agitation for the past nearly two years and have been guiding the villages as well. Sharmistha was arrested in January last year but is now out on bail. During the recently concluded Panchayat polls in Bengal, the group leading the agitation at Bhangar put up nine candidates as Independents: five of them won defeating the Trinamool.